Be sure to turn up the music — that’s my favorite part! Thanks to all of you for your support and for subscribing to the RV Lucky Or What blog. You really mean a lot to us, every time you read, watch, comment, subscribe, ask for advice, or even just give us a thumbs up so we know you’re out there. We can’t always respond thoughtfully to all your RVing questions and comments in a timely manner but we fully intend to…just as soon as that work deadline passes, I swear! Hope this year brings you lots of good things — and may all your travel dreams come true! P.S. For more detail about what’s in the video (which National Park/where the clips were taken, what happened to Mitch’s face, etc. ), see the detailed post under the video on YouTube. Love the YouTube. Makes me want to sell our house and travel too but my husband isn’t there yet even though we are retired and have been traveling for several months at a time. What was it that was your breaking away moment? For us, it was our kids graduating high school. Mitch’s youngest son and my only son graduated on the same day from the same school. All three kids went to college far away. 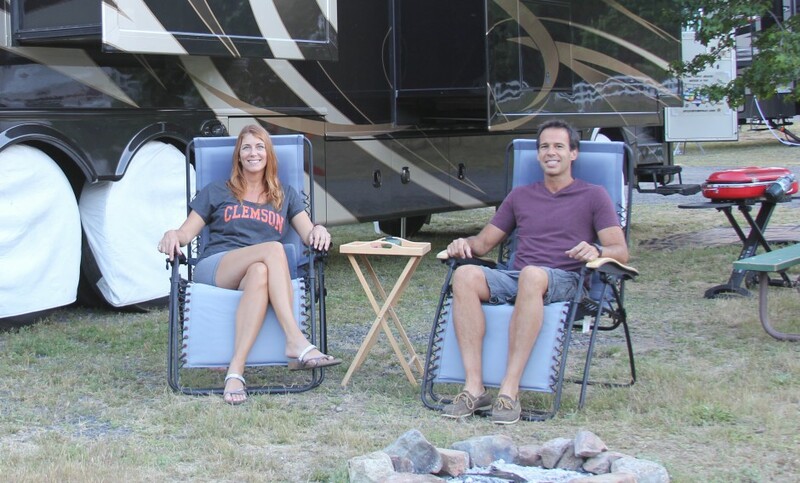 We had both always wanted to do a year-long RV trip (which easily turned into 2 years), we both worked from home, and we both weren’t from New England, but were interested in moving someplace warmer. Anyone can do this if the dream is a top priority. But for many, other priorities take precedence and other barriers are in place. It takes vision and execution even under the right circumstances. Our circumstances were ideal. That’s the crux of why we call ourselves lucky! Keep the dream alive! It’s a good one and estimates are that hundreds of thousands of people are doing it now! Two years sure flies by when you’re on the road, doesn’t it?!?! Congrats on your anniversary and if I ever get to a place with better wifi, I’ll take a look at the video 🙂 Thanks for sharing it! Great video….really nice job!! Two years…..it’s amazing how quickly time flies! !